I got my Hyperbike a few weeks ago and have been spending some time getting it perfectly balanced so both Sky and I can enjoy our drives! After a bit of juggling around with the shafts, it is now what I would deem “perfect.” I am so excited!!! 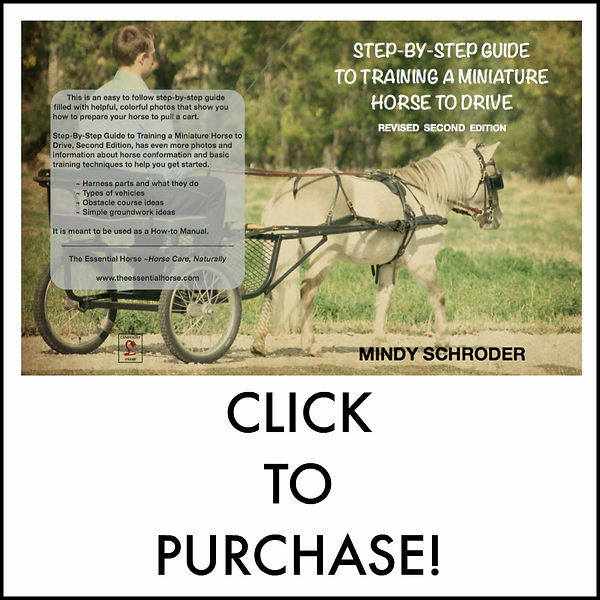 Whether they be mini horses, donkeys or mini ponies, most owners would like to share with them more open trail time if the carriage was lightweight, stable and up to, not only the easy forest paths, but also the rougher cross-country terrain. This is possible with the HyperBike ; smaller, lighter and quicker than any other vehicle made for miniatures. I was babysitting when the bike arrived and my youngest son, Logan and the baby I watch helped me put it all together! The baby was so sad that it arrived “broken” but was quickly made to feel better as we snapped it all together! And I say snapped because aside from a few bolts to attach the seat, everything slides together and then is held in place by locking pins. It is absolute genius! Once we had it all together I went in the house to grab my phone and when I came out I found the baby pulling the bike all around the front yard! That is how lightweight and perfectly balanced this cart is. As soon as I had time, I hitched Sky to the bike, and we had our first balancing session. This was our first driving session in the Hyperbike. She seemed quite happy but I couldn’t lean all the way back in the seat without the shaft ends flipping up. So I knew I had some work to do! I went to Facebook and shared the photos and a little video. People loved it! I didn’t go over my issues very much then because I wasn’t going to have time to mess with it. I was heading to Washington to volunteer at the EL CDE at Happs. When I got home I went right back out and played with it again! This picture sparked a lot of interest! People felt that Sky was too close to the front of the Hyperbike and my stirrups were too long. BUT I have a bad knee so I have to have my stirrups a bit long to accommodate that. But as for her being too close she certainly was! In this photo I had lengthened my traces and tightened the breeching which kept her forward a bit more in the shafts. But they were just not going to be long enough. To have the bike feel balanced and so I could lean back in the seat I had to have the seat all the way forward and on the highest (which is actually the lowest hole) setting for the tires. But the ends of the shafts did still bounce in the shaft loops instead of float. In this video I go over every adjustment I made to try to get everything to balance. This is what Sky thought of all the adjusting and balancing!! I love the C shafts! They are longer, wider and just plain bigger. They are actually a little bit too big for Sky, but with a bit more adjusting of the traces everything will work well. The C shafts are perfect for Zorro and Mikey so I’m thrilled that this set will fit everyone! In the above photo I had her as far forward as I could get her, my traces don’t go any longer. I don’t like how the shaft loops pull forward. I need to have them in front of the shaft stops that are on the shaft because otherwise the curve of the shaft is up at her shoulder which is not comfortable or correct. I also had the seat all the way forward and the wheels on the highest setting. Since this video I have lowered the seat by putting the wheels on the middle hole, the seat all the way forward and my stirrups longer again. I have let her traces down from the hold back straps of the breeching and made a set of trace carriers out of para cord for now. Janie from Chimacum Tack is sending me some trace extenders to make my traces longer and a set of trace carriers. Then we should be all set!! Because the line of draft is a little lower than when hitched to the easy entry cart, the line of the traces drops a bit back at her hip. So the trace carriers will hold those traces up so they don’t flop around and so she can’t easily get her leg over them. I will also add that I have ordered a pair of 6 1/2′ purple reins to use when driving the Hyperbike as well! They will be the perfect length I think! I don’t want to jinx myself and to be honest harnessing and hitching is an ever evolving thing, but for now I will say it… The Hyperbike is balancing perfectly for Sky and making our drives so so enjoyable. We are both so relaxed and happy now that we finally have the bike! I can’t wait to take her up in the mountains and enjoy some great drives close to home because I can now load and unload my vehicle all by myself!! Previous PostDisclaimer Next PostWhy the Hyperbike? Oh Tracy thank you so much for your kind comment!! I absolutely love helping people so when someone writes to tell me they found value it totally validates what I’m trying to do here. Thank you so much!! Thanks for your prompt reply. I’m sure I would be able to get in and out of the bike, just feeling unsure about it. Don’t want to purchase one and then find I can’t get in it!!!! LOL!